A few days ago, I was sitting in my room on my phone, when something clicked and I knew I wanted to help others. 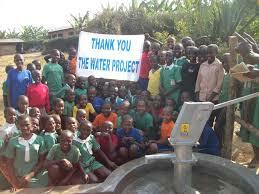 Instead of doing Christmas presents this year, I am wanting all of the money spent on gifts to be donated to The Water Project. 12/21/14 David Lowe $115.00 Love this project Elaina! We hope you surpass your goal!